For the Blackbird Poetry Festival, we partner with Howard Community College (HCC) to bring poetry to the students and the residents of Howard County. “Blackbird” refers to Wallace Steven’s “Thirteen Ways of Looking at a Blackbird.” This program began in 2009 and has brought many notable and exciting poets, including Taylor Mali & Chris August, Billy Collins, and Terence Hayes & Tara Betts. Each year, the festival features poetry workshops, a free event open to the public called Sunbird, and an evening ticketed event called Nightbird. HoCoPoLitSo, in partnership with Howard Community College’s Office of Student Life, English and World Languages Division, and Arts & Humanities Division, is thrilled to present the 11th annual Blackbird Poetry Festival on Thursday, April 25th, 2019. The all-day event will feature readings and workshops with poets Beth Ann Fennelly and Teri Ellen Cross Davis. The festival will also include a workshop “The Poetics of Anime” by Steven Leyva, readings by student poets from HCC and on-campus patrols by the Poetry Police in recognition of National Poem in Your Pocket Day. Poetry police will report for duty at 10am in the Duncan Hall Lobby. Poetry Police Captain Rick Leith and his force, in celebration of Poem in Your Pocket Day, will distribute citations to students and staff who find themselves without a poem in their pocket and reward those who carry a poem. Please contact rleith@howardcc.edu to volunteer for a shift. 11:00 a.m. Joint Workshop featuring Beth Ann Fennelly and Teri Ellen Cross Davis (see bios below). Sunbird: RCF 400 from 2:30pm-4:30pm Group Reading. Beth Ann Fennelly and Teri Ellen Cross Davis will be joined onstage by students, faculty, and staff for an afternoon of poetry. This event is free and open to the public. Beth Ann Fennelly will read from and discuss her work, will read from and discuss “her most recent work Heating & Cooling: 52 Micro-Memoirs and Unmentionables (2008). Nightbird admission tickets are $15 each (seniors and students $10) available on-line at https://www.brownpapertickets.com/event/4026338 or by sending a self-addressed envelope and check payable to HoCoPoLitSo, 10901 Little Patuxent Parkway, Horowitz Center 200, Columbia, MD 21044. A book signing will follow. For more information, call HoCoPoLitSo at (443) 518-4568 or email hocopolitso@yahoo.com. Beth Ann Fennelly, the Poet Laureate of Mississippi, headlines the 11th annual Blackbird Poetry Festival for HoCoPoLitSo. The Rumpus noted Fennelly’s most recent “collection will invite you into the delicate balance between the challenging, sometimes squalid, human condition and the beauty and sadness of the transcendent.” Fennelly’s newest book, Heating & Cooling: 52 Micro-Memoirs (2017), was selected as one of the ten best Southern books of 2017 by the Atlanta Journal Constitution. “Readers, you are in for a hootenanny of a wild ride. This is Fennelly at her most laid-bare, wickedly funny, and irrepressibly poetic best,” raves Kirkus Reviews. Beth Ann Fennelly teaches and directs the MFA Program at the University of Mississippi, where she was named Outstanding Teacher of the Year. She’s won grants and awards from the National Endowment of the Arts, the United States Artists, a Pushcart, and a Fulbright to Brazil. Fennelly has published three poetry books: Open House (2002), Tender Hooks (2004), and Unmentionables (2008). Her book of essays, Great with Child: Letters to a Young Mother” (2006), “may be the best book ever to give for a baby shower” noted the Tampa Tribune and The Tilted World (2013), a novel she co-authored with her husband, Tom Franklin. Fennelly and Franklin live in Oxford with their three children. Teri Ellen Cross Davis is the author of Haint, published by Gival Press and winner of the 2017 Ohioana Book Award for Poetry. 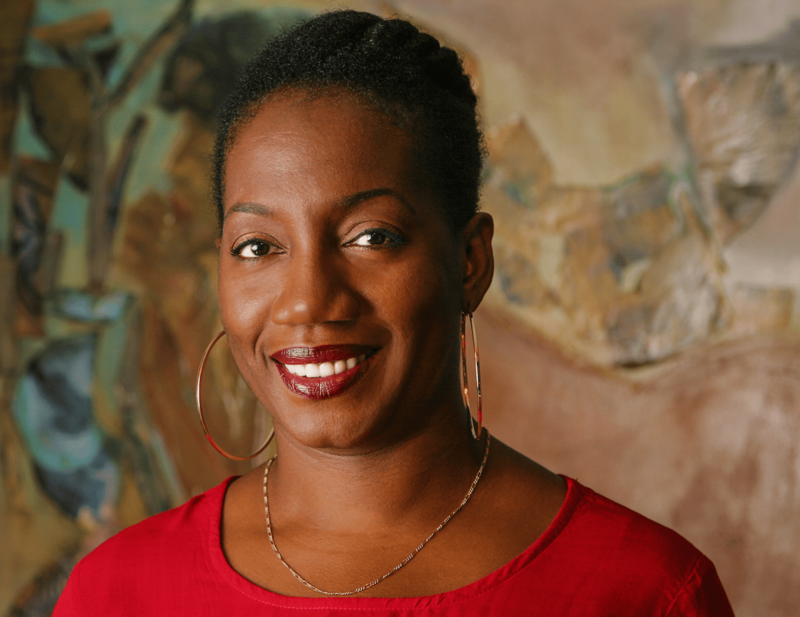 A Cave Canem fellow, she has been awarded residencies at Hedgebrook, the Soul Mountain Writer’s Retreat, the Virginia Center for Creative Arts and the Fine Arts Work Center in Provincetown. She is on the Advisory Council of Split This Rock (a biennial poetry festival in Washington, DC), a semi-finalist judge for the National Endowment for the Arts Poetry Out Loud and a member of the Black Ladies Brunch Collective. Her work has been published in many anthologies including: Bum Rush The Page: A Def Poetry Jam, Gathering Ground: A Reader Celebrating Cave Canem’s First Decade, Growing Up Girl, Full Moon on K Street: Poems About Washington, DC, Check the Rhyme: An Anthology of Female Poets & Emcees, The Golden Shovel Anthology: New Poems Honoring Gwendolyn Brooks and Not Without Our Laughter: poems of joy, humor, and sexuality. She is the Poetry Coordinator for the Folger Shakespeare Library in Washington, D.C. and lives in Maryland with her husband, poet Hayes Davis and their two children. Steven Leyva, a Cave Canem fellow and author of the chapbook Low Parish, will offer a workshop on “The Poetics of Animé” as part of the festival. Leyva, who is an assistant professor at the University of Baltimore, will hold his free workshop at 9:30 a.m. in the Rouse Company Foundation Student Services Hall, room 400. Poetry Out Loud State Champions pose for a photo at the State Finals. Hanna Al-Kowsi, Marriotts Ridge High School, Howard County (second place winner) is standing on the right. Photo credit: Edwin Remsberg. Hanna Al-Kowsi, of Marriotts Ridge High School, will perform her winning poetry recitation at the Nightbird. Hanna won first place in the regional tri-county and second place in the state-wide Maryland Poetry Out Loud competition that recognizes great poetry through memorization and performance. I heard that there will be public poetry reading Thursday morning. Where&When?